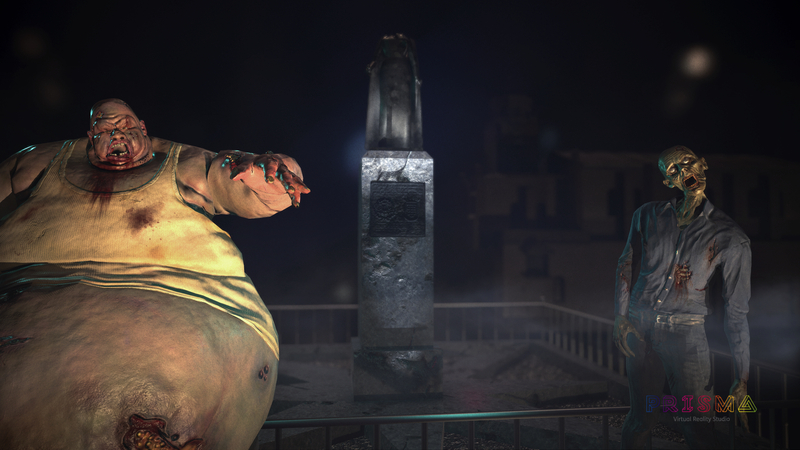 Synopsis: Prism Virtual Reality Studio , in collaboration with the City Council of Medina del Campo , presents the first experience with a zombie theme that recreates a Spanish population in Virtual Reality. Innovation: First Spanish development that creates an experience in Virtual Reality as a City Brand development strategy. 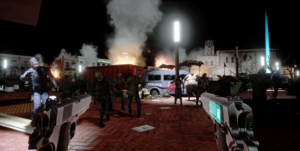 A military stronghold located in Medina del Campo faces the zombie epidemic and has erected barricades and established an extraction point for survivors in the Plaza Mayor. You are alone. Infected hordes roam around you and you only have one gun that you managed to rescue from among the fallen policemen. 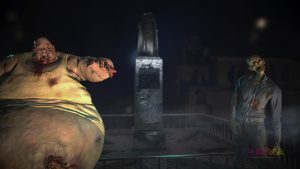 In three minutes the army will proceed to the evacuation of the survivors at the other end of the Plaza Mayor, next to the fallen camp of the Colegiata. 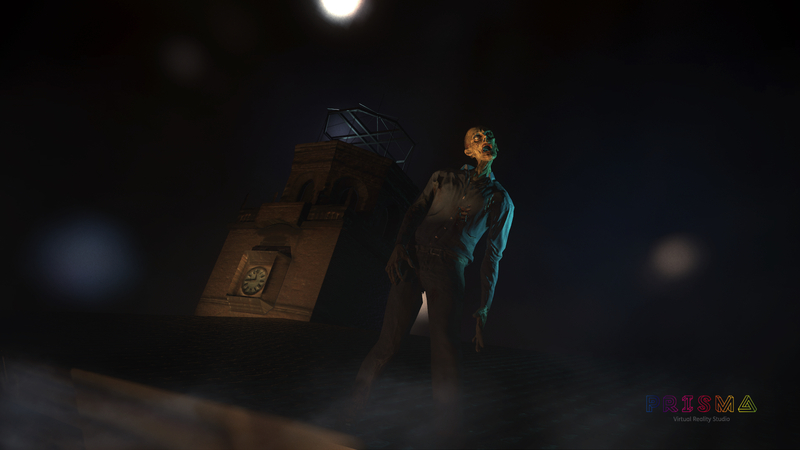 A second afternoon and you will lose your only chance to survive, every second counts, every fallen zombie counts, every bit of health that you have left, counts. Virtuix Omni es la referencia actual de las plataformas de movimiento e inmersión virtual. Es la primera interfaz de realidad virtual que permite moverse libremente y de forma natural en el juego, lo que lleva a “Be a Survivor” al máximo nivel de inmersión. For greater immersion, the production has come to reproduce every last detail, from the facades of emblematic buildings to the urban furniture, typical of Medina del Campo, passing through a set of typical Spanish elements totally recognizable to the general public.